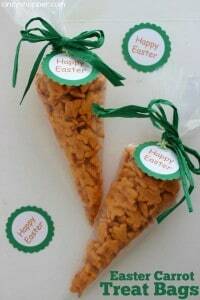 If you are looking for a non-candy Easter treat idea, these Easter Carrot Treat bags will be perfect. They are super simple. Plus they are inexpensive and healthy too! 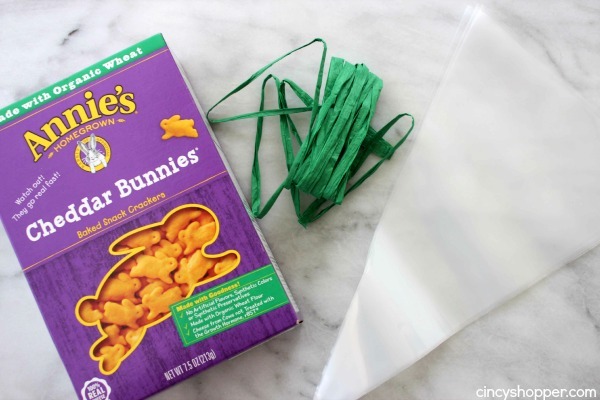 We used disposable icing bags and filled them with Annie’s Homegrown Bunnies crackers. 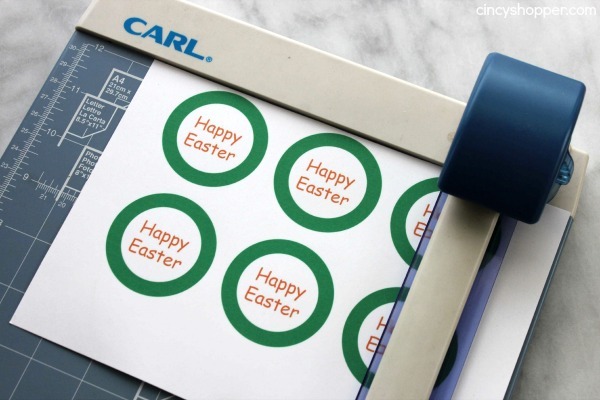 We then tied on a simple ribbon bow and then added a printable Happy Easter label/tag. I have included the FREE Printable for you if you are looking to add the label to your own bags. Non-candy Easter ideas can be tough to think of. Plus non-candy items can get quite expensive. 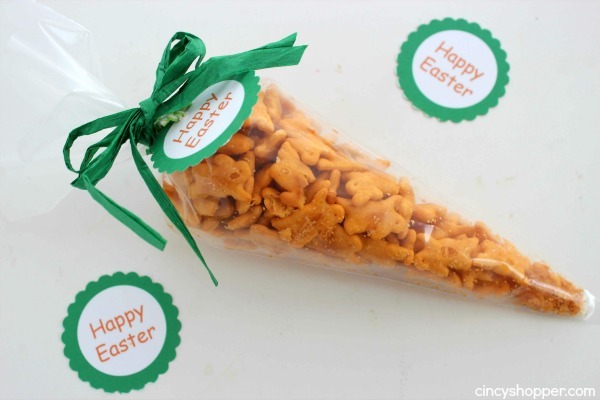 The Annie’s bunnies or even some puff cheeseballs are perfect for these little bags. 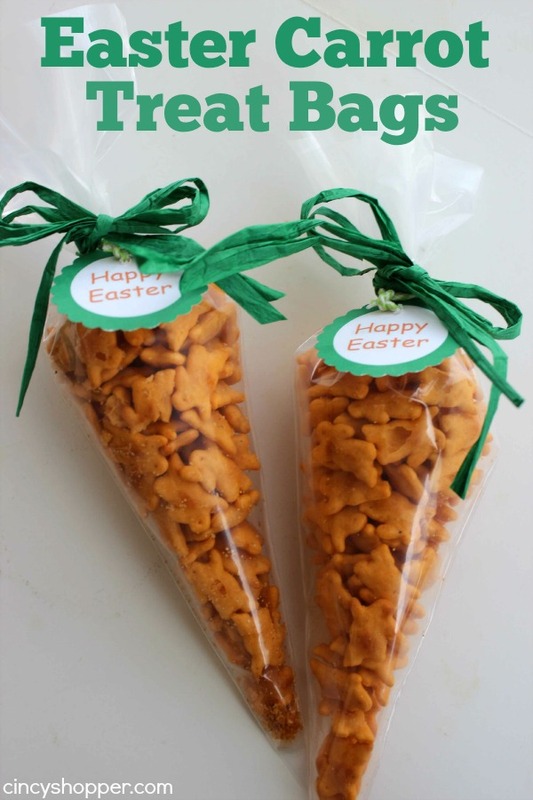 Easter treat bags are perfect to place in Easter baskets or even great for a classroom Easter treat. We plan to use ours for Easter baskets. My littlest guy is not a fan of candy but LOVES Annie’s Cheddar Bunnies. So a perfect Easter basket addition for us. Tie with ribbon and attach tag. 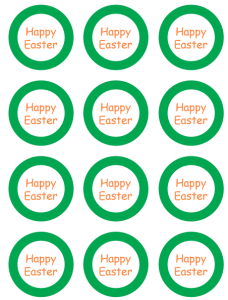 You can print the Happy Easter Tag here.